Hello again! 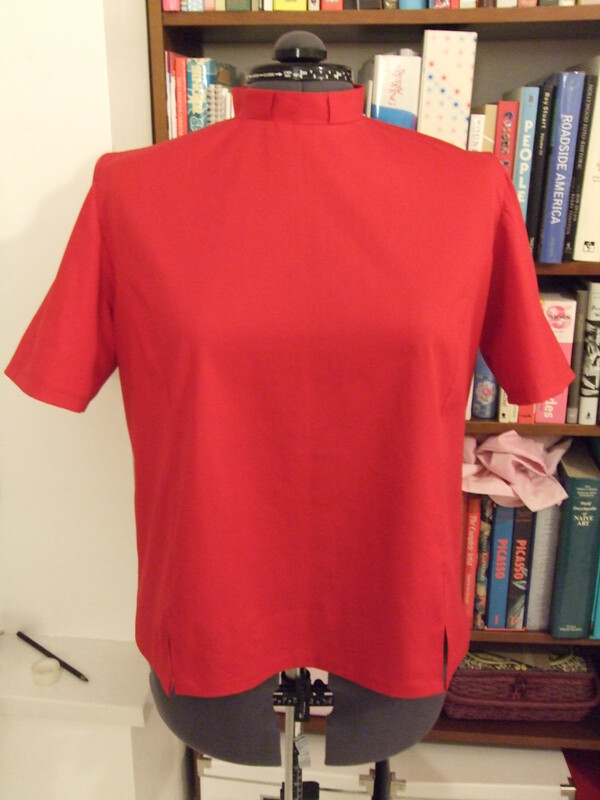 Just a quick project reveal today: another clerical top for my vicar friend Rachel! 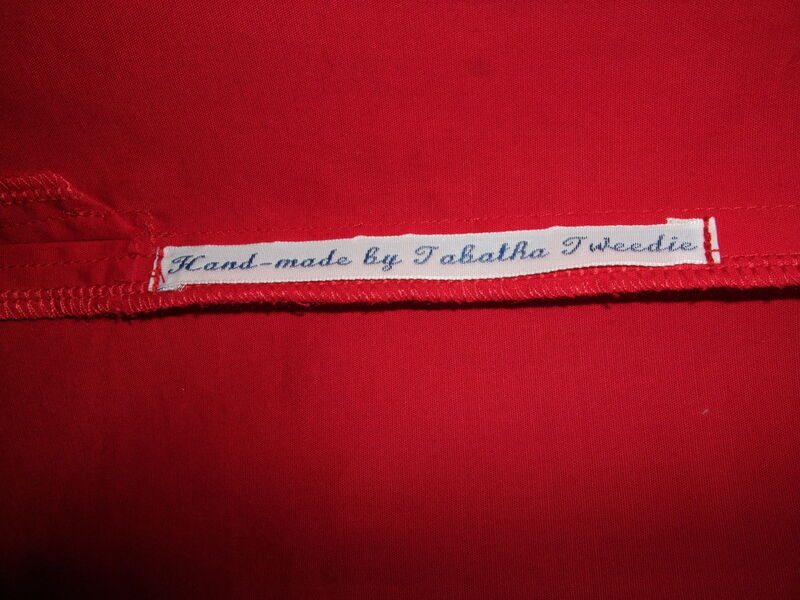 She obviously liked the first one I made for her, and commissioned me to make her another one in red. There were a few drag lines coming from the shoulders of the first one (i.e. the black one) that I wasn’t keen on, but this time I managed to get rid of these just by cutting the neckline slightly differently. It came together a bit more easily the second time, seeing as I had already got the pattern drafted. 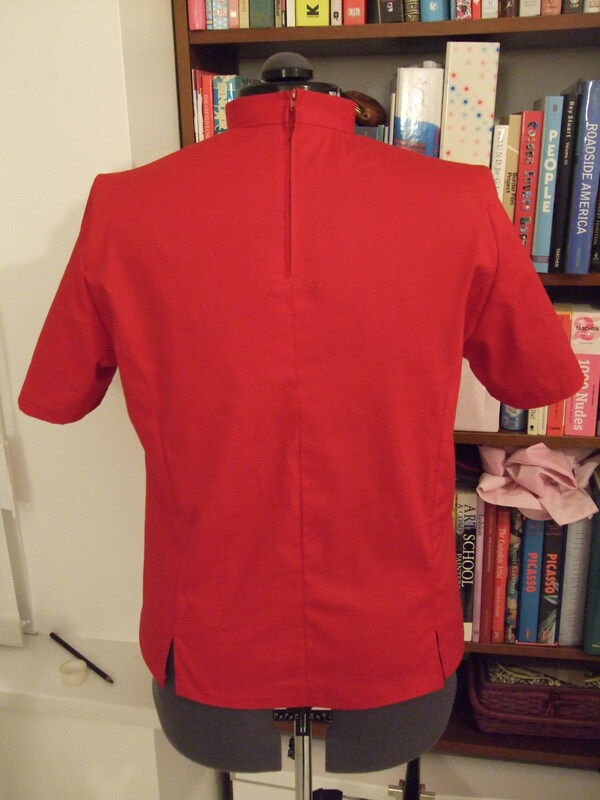 I bought the stretch poplin on eBay from the same seller as before, and once again it was good quality. I’m very pleased with it, and I hope Rachel is too. The colour is definitely appropriate for the festive season! It is great! She will look wonderful during the Xmas ! Thanks! It’s good to sew something a bit different every once in a while. Thank you. I’m quite pleased with myself! Delighted to know someone else makes clerical shirts. This is great. I make all my own.